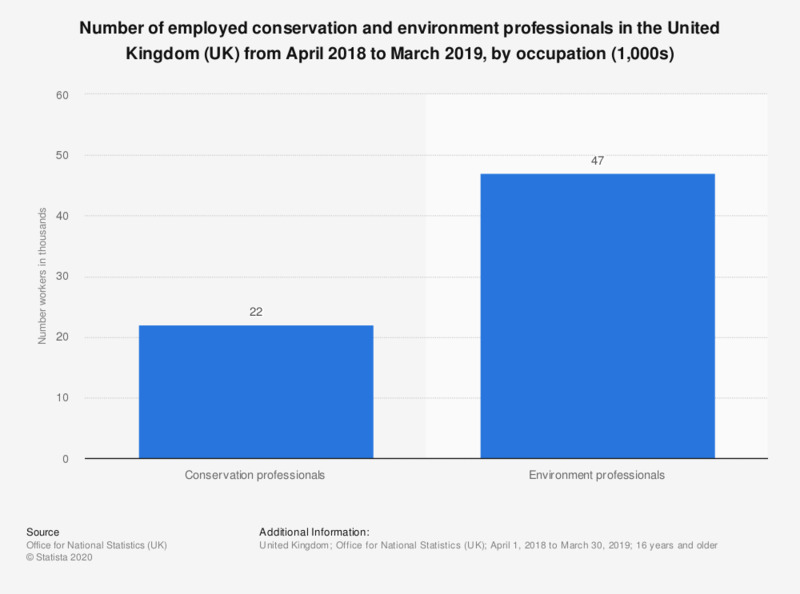 This statistic shows the total number of employed conservation and environment professionals in the United Kingdom (UK) in 2018, by occupation. In this year there were approximately 20 thousand individuals employed as conservation professionals in the United Kingdom. However environment professionals made up the majority of individuals working in this sector, with roughly 50 thousand employees. How much influence do you have over the quality of your local environment? With respect to possible environmental disasters, do you feel safe in the place where you live?